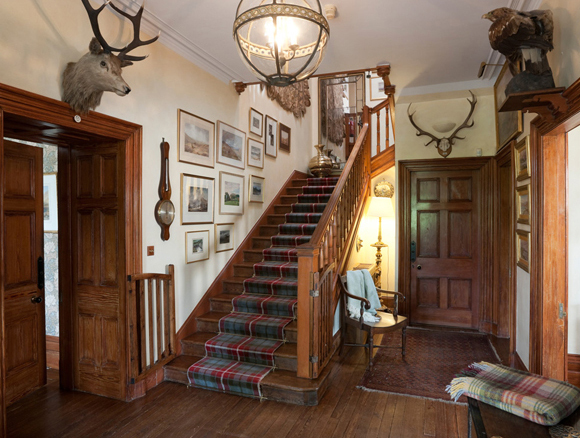 The Glencalvie estate, approached through part of the Caledonian Forest at the head of the Strathcarron, is one of the finest sporting estates in the Highlands. Extending to over 20,000 acres, the ground rises to the top of Carn Chuinneag at 2,749 ft, providing stunning views to the east and west coasts. 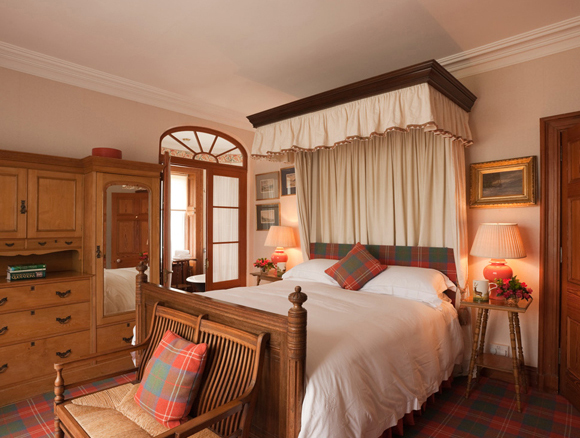 Glencalvie is the perfect setting for both private and corporate guests to enjoy a sporting or family holiday in the Highlands in comfort. 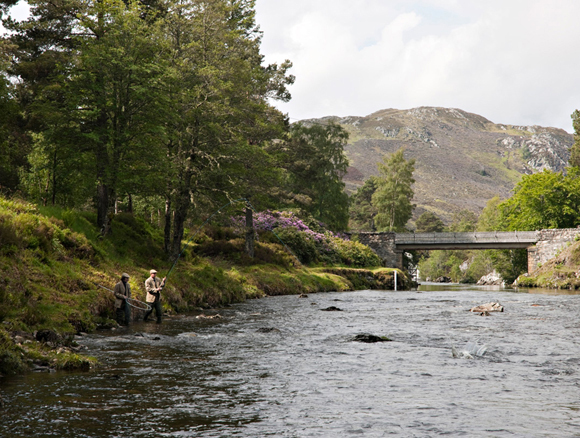 The River Carron is a renowned Highland salmon river and provides exceptional fishing in the most beautiful countryside. The Carron is a well known spring river but the arrival of fish at Glencalvie and Gruinards is determined by the water temperature. 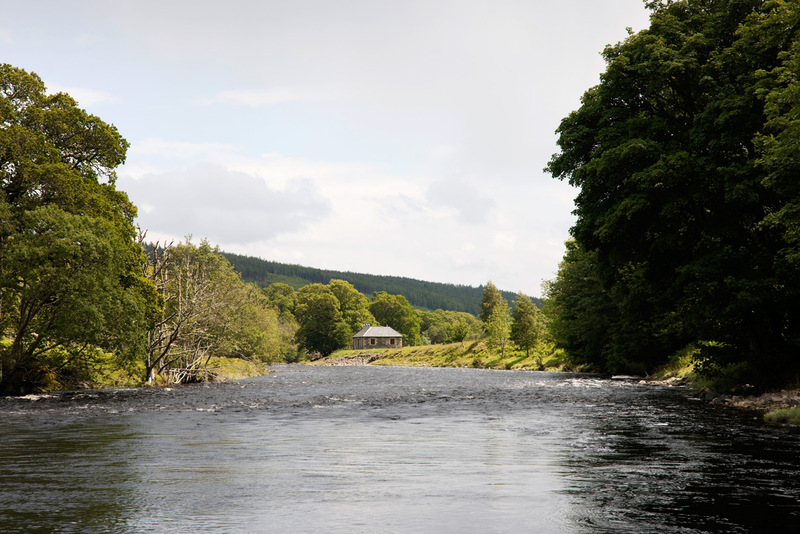 The Glencalvie water is a 2 rod beat and has some of the best fishing on the river including the famous Falls Pool. The river rises principally in Gleann Beag and Gleann Mor, absorbing its major tributaries the Alladale River, the Diebidale water and the Blackwater before descending 7 miles to the Kyle of Sutherland at Bonar Bridge. The Gruinards water is a 4 rod beat, and includes a variety of pools and runs, with excellent fishing in most conditions. There are 27 main pools including the Upper and Lower Craigs, Keepers, Pigeon Rock, The Morail, Gardeners, the Boat Pool and the Washer Woman. A ghillie is usually provided. 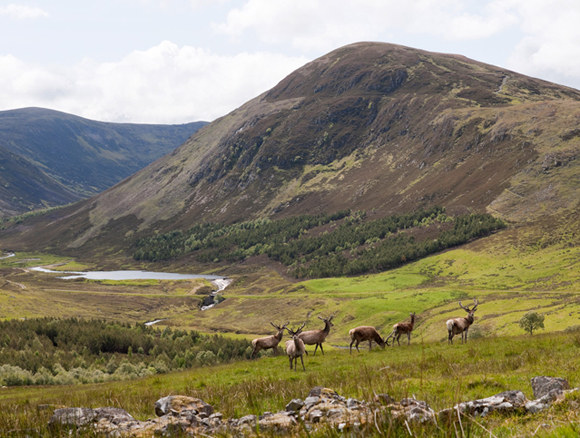 Glencalvie offers some of the finest and challenging stalking on the east coast with 2 rifles taking up to 5-10 stags each week during August, September and October. The estate is traversed by well maintained pony tracks and you will have the services of 2 stalkers. Spring- 14/15 ft rod, not for distance but for ease of handling heavy lines and flies. As the water drops it is down to personal preference. Some will fish a 14 ft rod all season, others will drop down to single hander in low water. Wise to take at least a floating, intermediate and sinking line. A decent multi tip will suffice. (Floating lines with polyleaders do not fish the fly deep enough in cold conditions) From late Spring a floater is all that is really required although an intermiediate could be useful in spate conditions. Spring- Black and yellow, Kylie, Ice Maiden, Monkey, Willie Gunn, Snaelda. Summer/Autumn- Stoat, Silver stoat, Cascade, Red Ally, Kylie, Frances, Willie Gunn, Collie, small hitch tubes. Local favourites- The Macartair , Fast Eddy, Copper King and the Analyst. Sizes tubes up to 2.5 inches in high cold water through to micro flies in low water. 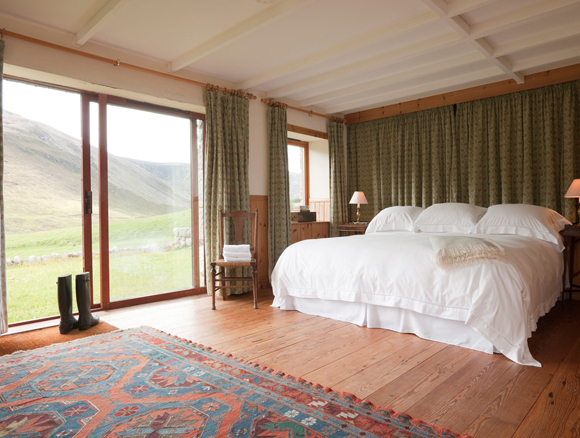 In traditional Highland style the lodge accommodates up to 14 guests and each bedroom has its own bathroom. The drawing rooms and dining rooms provide all the comfort for relaxation and entertainment. 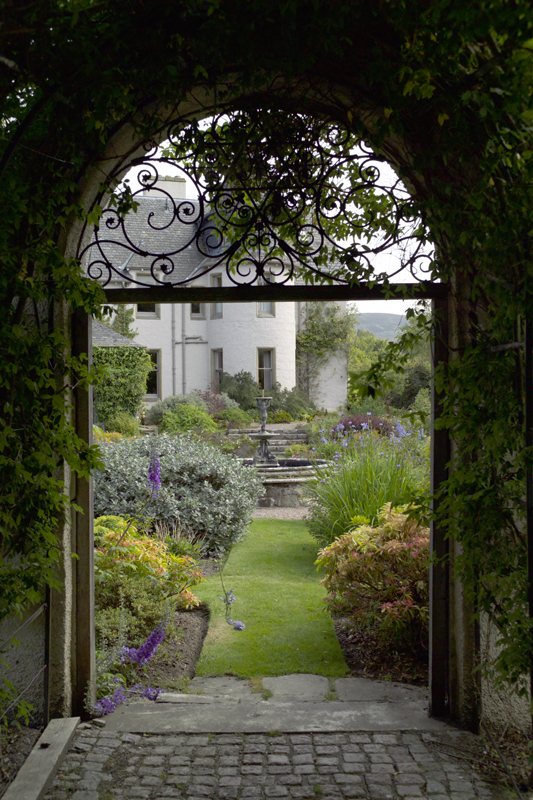 With beautiful landscaped gardens and a small loch, the lodge is set in stunning surroundings. The lodge has satelite tv and wi-fi. A piper can be provided on request. 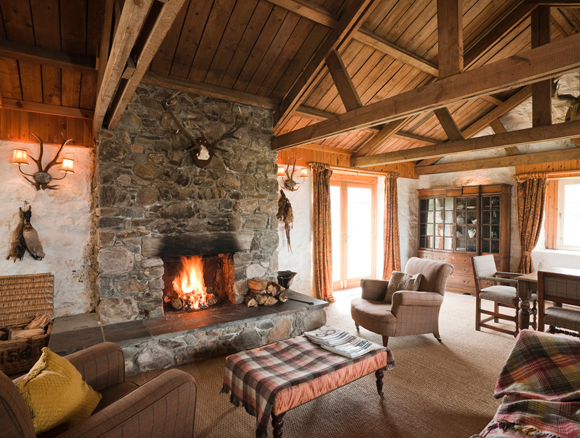 A secluded lodge in Glen Diebidale which accommodates up to 10 guests. An open plan kitchen, dining and sitting room provides an informal and comfortable atmosphere. This is the perfect retreat for the sportsman or family who wish to enjoy the Highlands in comfort and quiet. 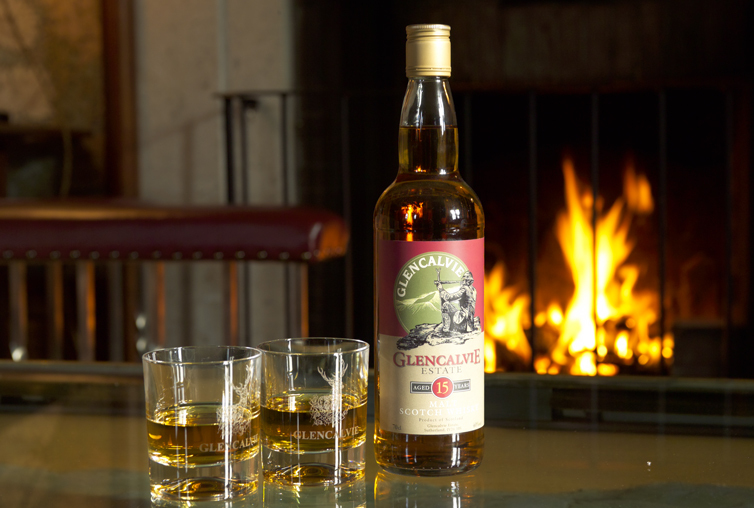 Glencalvie offers to all guests the use of the comfortable bothy at Gruinards throughout the day. Facilities include an open plan sitting room/dining area with small kitchen and cloakroom.